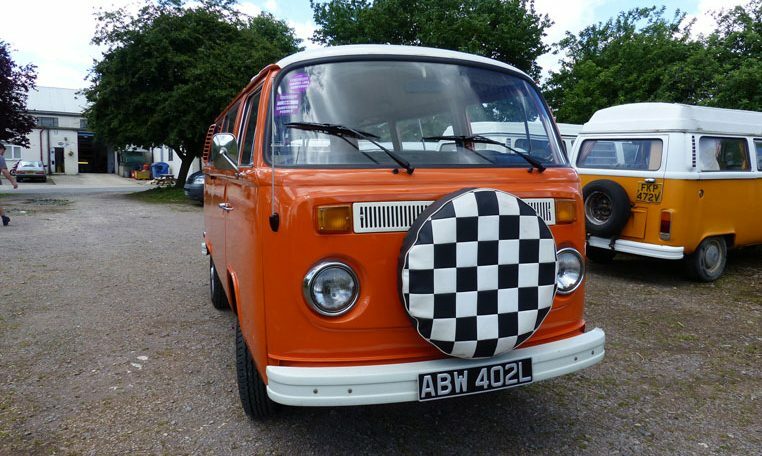 This excellent Westfalia weekender has been looked after here for the past 3 years or so. Now for sale to finance a house extension this is a great opportunity to buy a really nice, original bus at a great price. 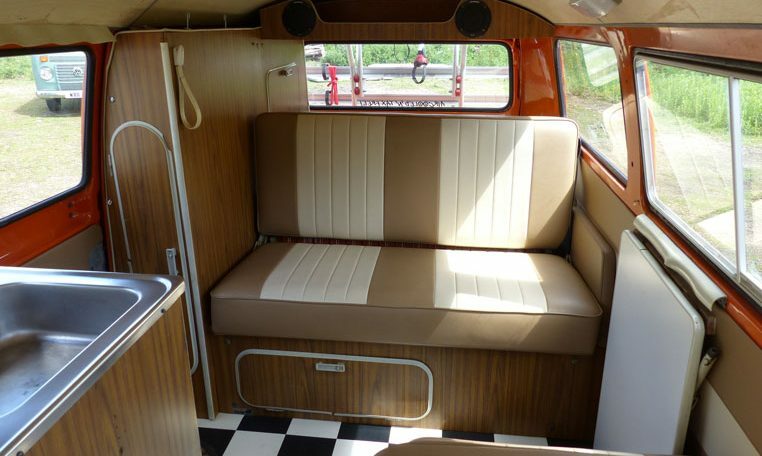 Originally a USA only model the Weekender was a simplified version of the campmobile. It came without the pop-top roof and integral roof-rack. Its under 2m tall so will fit in most domestic garages. Fitted out with table, a double bed, buddy seat, fridge & sink. 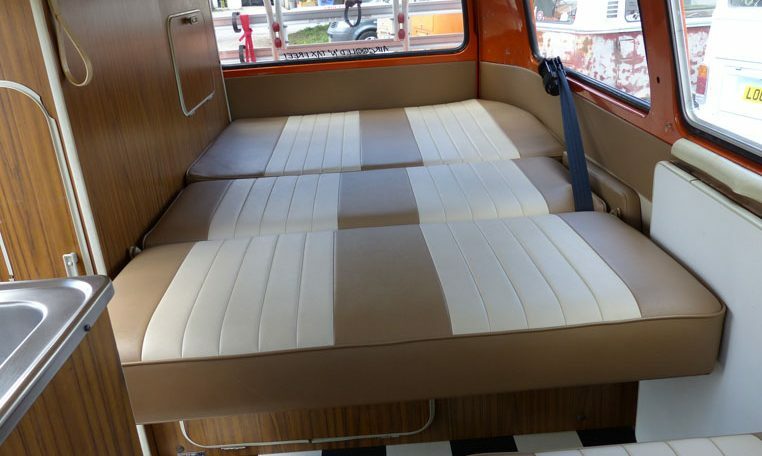 This one has its original top quality Westfalia furniture and was re-upholstered by us about 2000 miles ago. 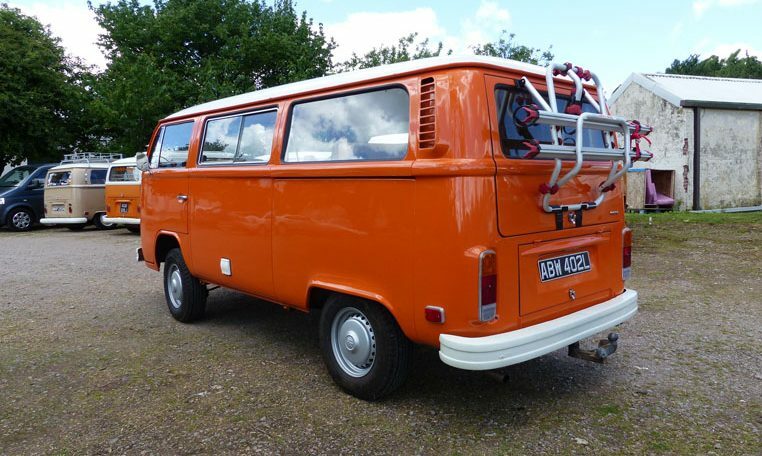 It was also repainted in the past few years in the original orange colour and its still looking really good. No obvious rust on the outside and really, really solid underneath too. Just in for new front brakes, she also has a new MOT. Standard 1600cc engine sounds lovely via its stainless steel exhaust. This was only fitted 2 years ago to. Drive away awning, outdoor cover, bike rack, chocks and roof rack also available.